Operating room facilities – C-arm, sophisticated battery operated drills. 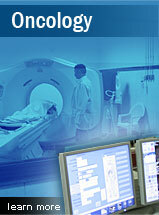 Diagnostic facilities; X-ray, Usg, CT-Scan, MRI. After 4 p.m. till next morning 9 a.m. patients are attended to by duty doctors and specialists on call. Appointments to patients are given on day to day basis depending on the units functioning. Procedures are done as early or immediately depending on the fitness of the patient. Visitors are not allowed during the Doctors rounds & they have to strictly follow the schedule of the visiting timings.